Hastings United are through to the Bostik Development League Cup final. 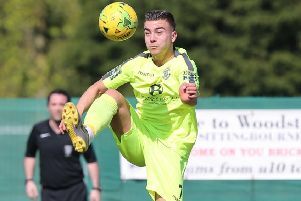 Hastings United Football Club is through to the Bostik Development League Cup final. The under-23s pulled off a very good 4-1 win at home to Ramsgate in a semi-final played at the second time of asking last night (Thursday) having been postponed on Monday. Goals from Sam Adams (2), Regan Smith and Bradley Pritchard put Hastings through to a final showdown against Wingate & Finchley at Aveley FC on Tuesday May 15, kick-off 7.30pm. * Hastings United FC has announced its season ticket pricing and early purchase offers for the 2018/19 campaign.